Palestine will start an international campaign showcasing the US as “an enemy,” pushing Israeli extremists to carry on with their actions and supporting Israel in everything, Fatah central committee member Abbas Zaki said. Zaki, also the former representative of the Palestine Liberation Organization in Lebanon, told RT Arabic that the latest developments in the UNSC were not a failure for Palestinian diplomacy. “It’s just the persistent unwillingness of the US administration to give the Palestinian people its lawful right of self-determination. It’s a very dangerous precedent,” he said. 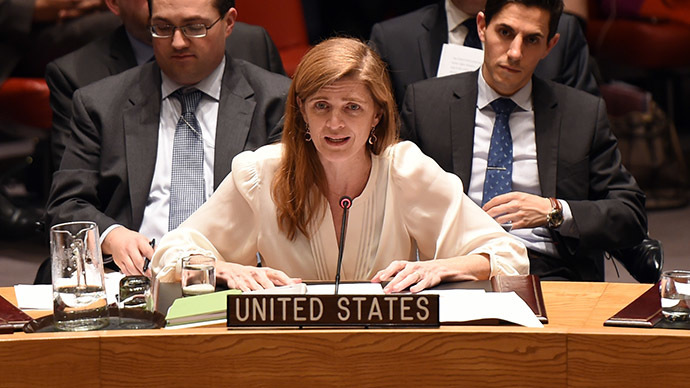 “The US administration realizes very well that 138 states support Palestine as having UN observer status. The US knows that there are many decisions and resolutions of international organizations condemning the Israeli crimes and injustice towards the Palestinian people,” Zaki said. Comparing the US administration with “the cobra’s head,” Zaki vowed retaliation if America doesn’t change its current stance. “We can’t tolerate anymore the crimes committed against us during the whole ‘peace process’ led by the US. Israel has gone too far, destroying our sacred places, taking our land, killing our citizens… Israel commits crimes and the US can’t stop this in any way,” Zaki said. However, it’s time for the Palestinian people to be more united, he concluded, as the “civilized world stands on our side, in particular – France, Luxembourg, Russia and China” and Palestinians are preparing an international campaign in their support. “The whole world should understand that the US is an enemy, pushing Israeli extremists to carry on with their actions, depriving us of our rights, and supporting Israel in everything,” Zaki said.